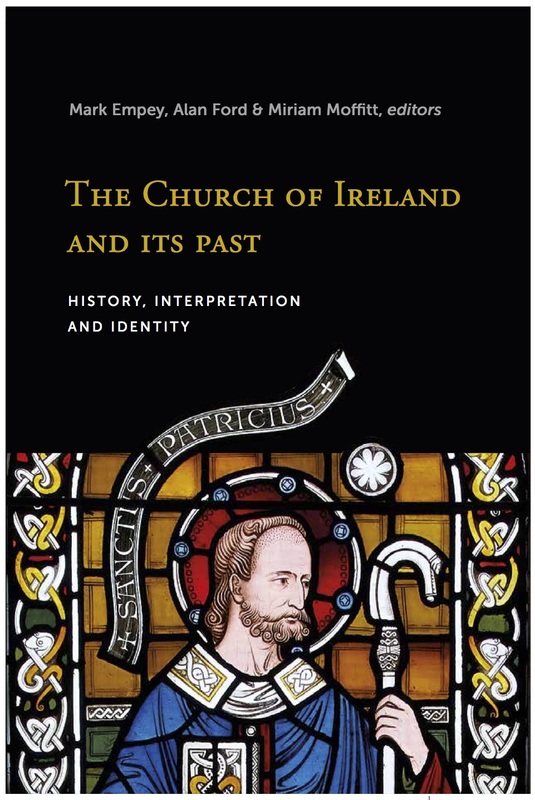 The Church of Ireland Historical Society is pleased to announce that The Church of Ireland and its past: history, interpretation and identity, edited by Mark Empey, Alan Ford and Miriam Moffitt, is now out and available in all good bookstores. Co-funded by the Society and the Standing Committee of the General Synod of the Church of Ireland, and printed by Four Courts Press, this book ‘brings together leading Irish historians who examine how the history of the Church of Ireland has been written in the 500 years since the Reformation’. With seventeen chapters and over three hundred pages, this work has much to offer the interested reader. (For a full list of the contributors and their chapters visit the following link: http://www.fourcourtspress.ie/books/2017/the-church-of-ireland-and-its-past/contents.) It traces the emergence of a ‘distinctly Protestant narrative’ and examines key figures in the debate such as Archbishop James Ussher, Sir James Ware and Robert Ware in the seventeenth century; Walter Harris, Thomas Campbell and Revd Edward Ledwich in the eighteenth century; and J.H. Todd, Charles Elrington, Richard Mant, William Reeves and George T. Stokes in the nineteenth century. The twentieth century receives equal attention with analysis of W.A. Philips’s influential History of the Church of Ireland as well as a number of fascinating discussions on the development of the Church of Ireland’s history and how the traditional confessional interpretation was significantly challenged by the professional elite. One striking feature is the inclusion of a chapter on personal reflections by three historians (Nicholas Canny, Karl S. Bottigheimer and Steven G. Ellis) who shaped and influenced the debate on ‘why the Reformation failed’ in the late 1970s and 1980s. In some respects, this is a historiography within a historiography. The Church of Ireland and its past: history, interpretation and identity will be officially launched by Professor John Morrill (Selwyn College, Cambridge) in the Treasury of Christ Church Cathedral on Friday 20 October as part of the conference marking the 500th anniversary of the Reformation. The conference is co-hosted by the Church of Ireland Historical Society. For further details, and to register for the event (which is FREE), please click here. Please note, tickets for the conference are limited due to capacity restrictions. Finally, we would like to congratulate the editors Dr Mark Empey (lecturer in history at NUI Galway), Professor Alan Ford (emeritus professor of theology at the University of Nottingham) and Dr Miriam Moffitt (who lectures in church history at St Patrick’s College, Maynooth) on an excellent book. We hope, and expect, this study to have a significant impact on the history of the Church of Ireland for years to come!